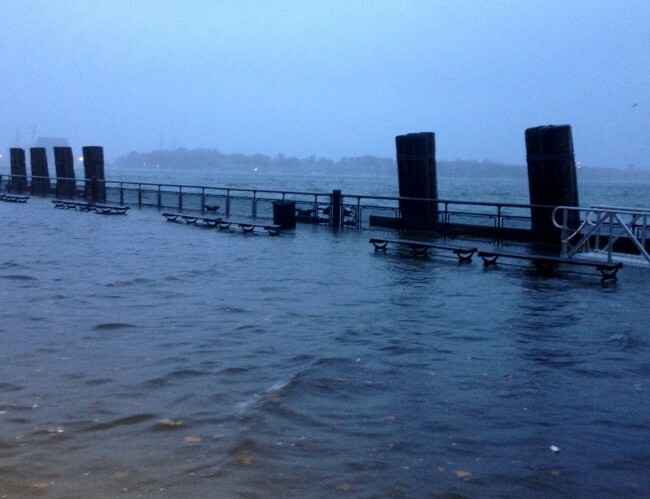 Flooding at Battery Park. The East River, as well, ran up into Red Hook and Dumbo. The MTA is dealing with a catastrophe this Tuesday morning, as seven subway tunnels under the East River have flooded. Its unknown right now how long it’ll take to reopen the lines. Due to the transit shut-down, it’s highly unlikely public schools will reopen Wednesday, halloween. Bridges over the East River have reopened.